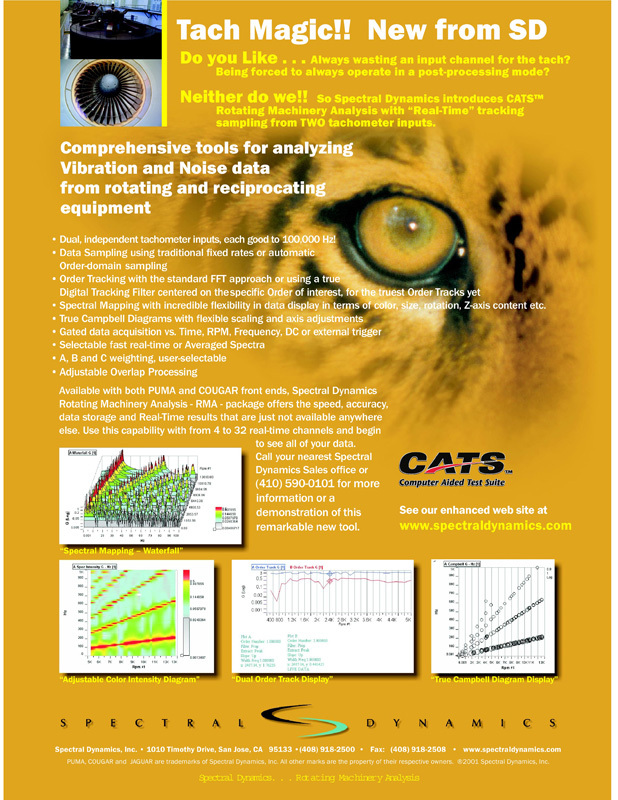 The RMA package is a PC-based system which operates with PUMA and COUGAR hardware to offer the best possible acquisition and analysis of vibration and noise data in variable speed measuring applications. At the heart of this system is a dual Tachometer hardware board which runs at a clock speed near 100 MHz and uses double-buffered counters. This permits accurate, real-time measurement of tachometer signals up to 100,000 Hz on each channel. Thus rotors with speeds up to 100,000 RPM and 60 pulses per rev can easily be accommodated. 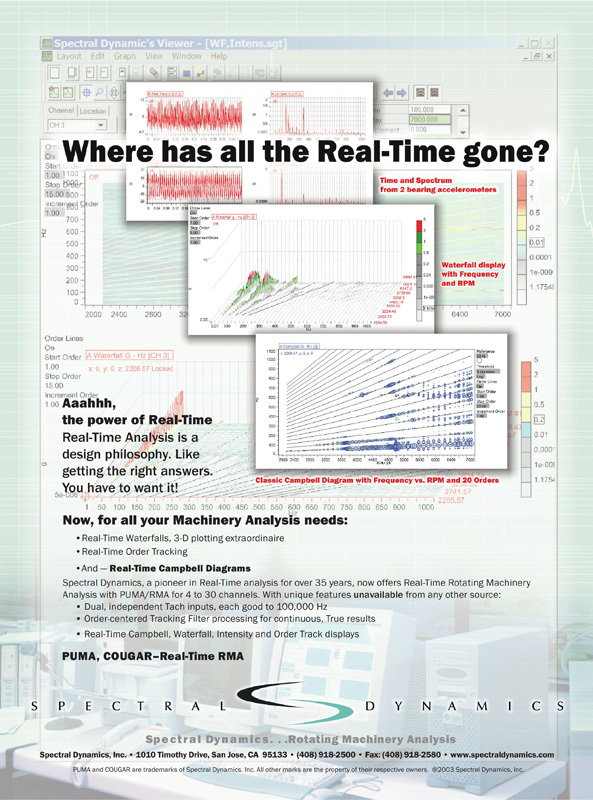 Real-Time measurements have always been the forte‘ of Spectral Dynamics and the RMA package only enhances this reputation. 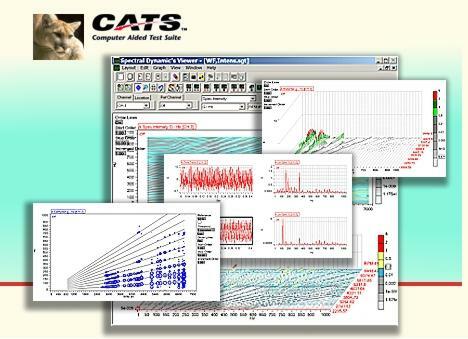 Capable of working with from 4 to 128 signal input channels, in addition to the 4 Tacho inputs.